They're what the PADI Advanced Open Water Diver course is all about. And no, you don't have to be "advanced" to take it - it's designed so you can go straight into it after the PADI Open Water Diver course. The Adventures in Diving programme offers both the Adventure Diver and Advanced Open Water Diver certifications. If you complete any three adventure dives, you can earn your PADI Adventure Diver certification. If you complete your Deep Adventure Dive, Underwater Navigation Adventure Dive and three Adventure Dives for a total of five, you can earn your Advanced Open Water Diver certification. After your five dives, you'll be more experienced, feel more comfortable in the water and simply enjoy diving more because you better understand the underwater environment. 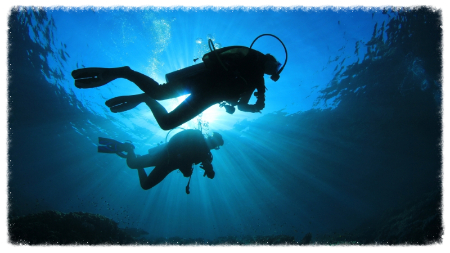 This certification allows you to safely dive to a maximum of 30 meters. One evening and 2 days’ of diving to complete your 5 dives. If you have not dived recently we recommend the PADI Scuba Review prior to the open water dives. Use of Seastyle school equipment if required.